The first things that come to mind when the beautiful word “Italy” is spoken are white sandy beaches and sunny villas. But, there is so much more to be discovered in this country that many people don’t think about. Visiting Italy in winter can actually unfold many of the country’s hidden marvels. With fewer crowds, cheaper prices, and special events, planning a winter vacation in Italy may be the smartest thing you can do. 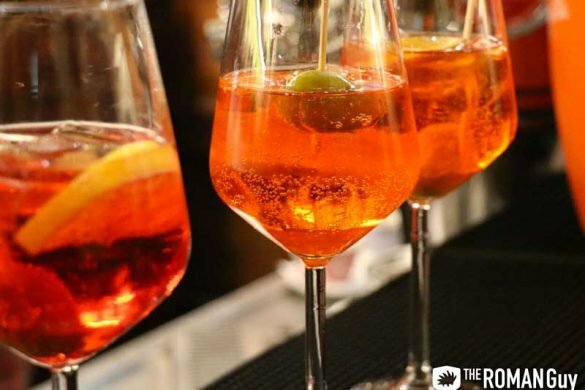 If you are lost and looking for the best activities in Italy, check out these awesome Italy tours to immerse yourself in the “Dolce Vita” lifestyle. If you’re headed to the Eternal City, pick your favorite Rome tours! You’ll have a super skilled English-speaking local guide lead you to the discovery of the Colosseum and the Vatican and the most authentic experiences. 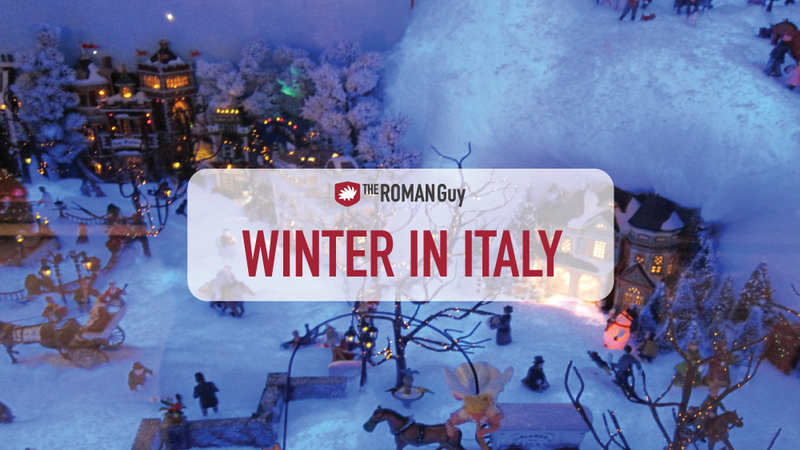 If you’re spending Christmas in Italy, expect lights and Christmas markets! It’s a precious time of the year to discover Italian traditions and dive into the country’s culture. Italy is home to more than 400 ski areas with three major mountain ranges – the Alps, Apennines, and the Dolomites. There are slopes for the experts, beginners, and the ones that want to focus on the hot chocolate by the fire. Some of the best places to check out are Courmayeur, Cortina d’Ampezzo, Roccaraso, and Mount Etna. Italy is a great shopping destination all year round. However, Christmas markets in Italy are the perfect opportunity to taste some traditional specialties and find handcrafted gifts. After the holidays, all of Italy goes on sale from January-February. This is the perfect time to find quality Italian leather bags and shoes you’ve been dreaming about for cheap. Every store, every item, every city. If you love vintage clothes, Rome has some treasure vintage stores, so go and have a rummage! Did you know wine harvest is in September?! Visiting a charming winery in winter is the perfect time to let the producers boast about their new products. You’ll be spoiled with the attention of the experts and will have plenty of time for tasting and buying. 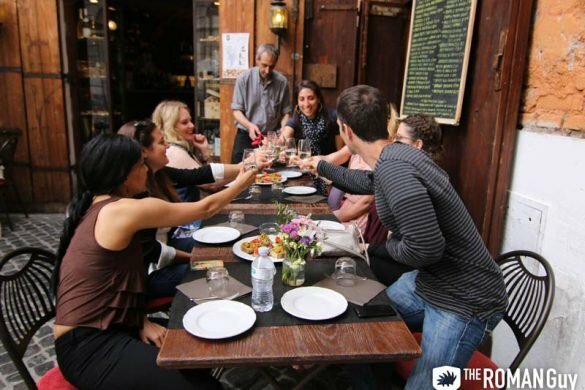 In the summer months, foodie tours and experiences can be crowded and even sold out. Why not take advantage of the culinary heaven of Italy and taste some delicacies guided by experts? 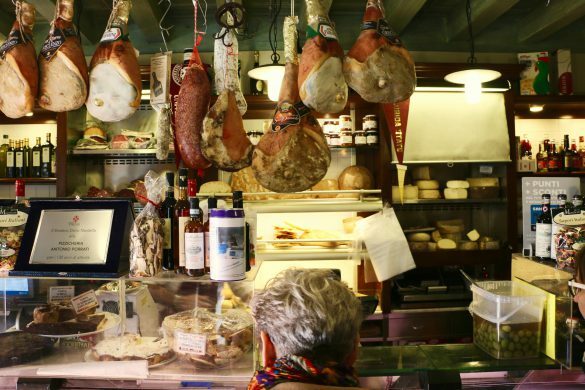 Check out these local Italy food tours! Visiting Italy in Winter can be the perfect occasion to discover some off-the-beaten-path destinations! The weather is sometimes rainy and often unpredictable. Yet, the winter sports, food, Christmas atmosphere, and cheaper and less crowded monuments make a compelling argument. Here are the five coolest places to spend winter in Italy! Whether it’s a hearty stew or a mouth-watering dessert, there are plenty of winter dishes in Italy. Some of the most popular in Rome are pasta with chickpeas, oven roasted pumpkin, and heavier pasta dishes like carbonara, tagliatelle ai funghi, and anything with truffles! Rather than using pasta as a staple, risotto and polenta are widely used in the northern regions. Polenta Taragna is a rich mash made with cheese, milk, and butter, and it’s definitely worth trying. The North is the colder area in Italy, so expect heavy dishes that warm you up. Bread dumplings in a thick broth, wiener schnitzel, and fegato (liver and onions) are common on menus during the colder months. You may still see some risotto in central Italy, but pastas are a bit more common. Be ready for the famous pasta alla Bolognese. Brodetto, a fish stew, and Vincisgrassi, a pork dish with mushrooms and truffles, are sure to keep you warm in the chilly Tuscan nights. Italian hot chocolate, or cioccolata calda, deserves a mention on its own. It’s like drinking a liquid chocolate bar that is both thick and smooth. The authentic drink comes in two flavors – dark and white chocolate. None of that cinnamon, mint stuff around here. Some baristas get creative with their own mix but it is a classic most people don’t steer too far away from. Few of the best places in Rome to get this classic are Ciampini, Caffé Sant’Eustachio, and Bar San Calisto. The heat gets kicked up a notch not only with the sun but also in the kitchen. Spicy tomato sauces are crucial to a southern Italian dish. Raisins and pistachios are very common in Sicily, as well. Capretto ripieno al forno, roast kid stuffed with herbs, is a staple for the secondi menu options. With the seafood popularity in the South, swordfish, sardines, and finocchio con le sarde (fennel with sardines) are local treats to try. For such a small country, Italy does have a wide range of climates. Depending on where you’re coming from, it could be a cold change of scenery, or a tropical winter escape. Except for the northern mountain regions, though, winter in Italy is fairly mild. The temperatures are averages from December-March in Fahrenheit for Northern Italy are high 51-57 and low 34-35. For Central Italy: high 51-59 and low 37-42. For Southern Italy high 51-60 and low 39-44. The checklist can vary greatly depending on if you’re going skiing, hiking, how long you’re traveling for. This is the go-to general list for anyone coming to Italy in winter to ensure the easiest transition. Umbrella. Snow is not common unless you’re way up north, but rain is a friend of Italian winter. Debit card. There are countless places where credit cards aren’t accepted so make sure you have a quick and easy way to get cash. Slippers/warm socks. Carpeted floors are not common in Italy! Stay warm in your hotel or short-stay apartment by bringing warm socks and slippers. Comfy shoes. Italy is best when enjoyed by foot! Uncomfortable shoes make for one uncomfortable traveler. Thermal long sleeve shirts. This will help to keep you warm with fewer clothes. It also means less luggage, which means a happier traveler! Layers, layers, layers. We have the average temperatures, but the sunshine can make it seem warmer. Bring things that you can easily take off if need be. Scarf. Comfy for the airplane, necessary for walking around. Fashion tip: Italians, particularly in Rome, stick to neutral hues and basic patterns. If you want to blend in, think blacks, beiges, browns or navy blue. Bring one or two outfits to get you started and then just shop the local stores! Bulky, heavy-duty jacket (unless you’re going to the mountains). It doesn’t get that cold and it takes up unnecessary space. More than one pair of jeans. They take forever to dry and take up a lot of space in your luggage. High heels. Cobblestone streets don’t go well with high-heeled shoes. If you’re a fan of them, do yourself a favor and buy them here and strut at home!